1960s 1. All original. See also 1950s and 60s Coats, and aqua pillbox hat. 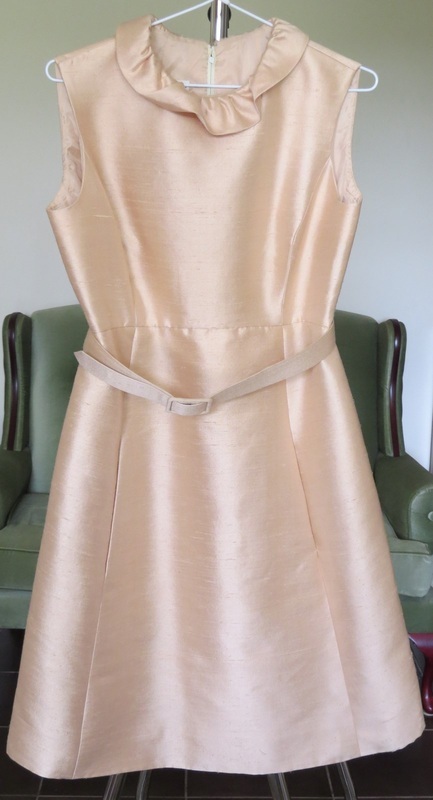 Includes the simple eleqance of Jacqueline Kennedy styles. The suit jackets can be worn separately, to dress up whatever you choose. 601 XS B 86, W 59. 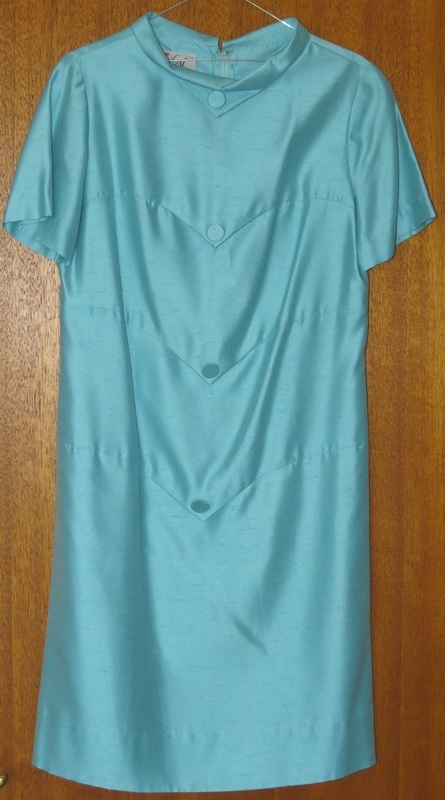 50s or 60s wiggle dress, in shimmering blue with rose pattern. $65. 613 Size 8-10. Mannequin has bust 84cm. Lower border 91cm, length from shoulder to hem 42cm. 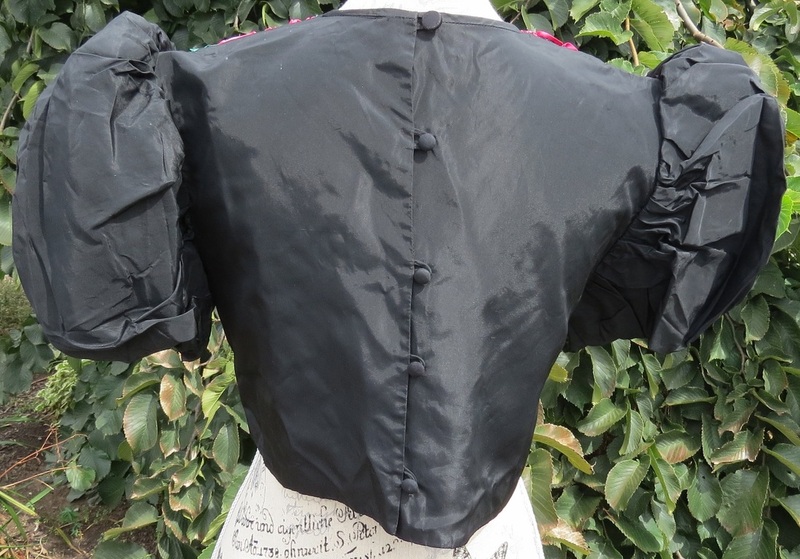 Croptop with ribbonwork and lace over thin lining; back and puffed sleeves are probably taffeta. 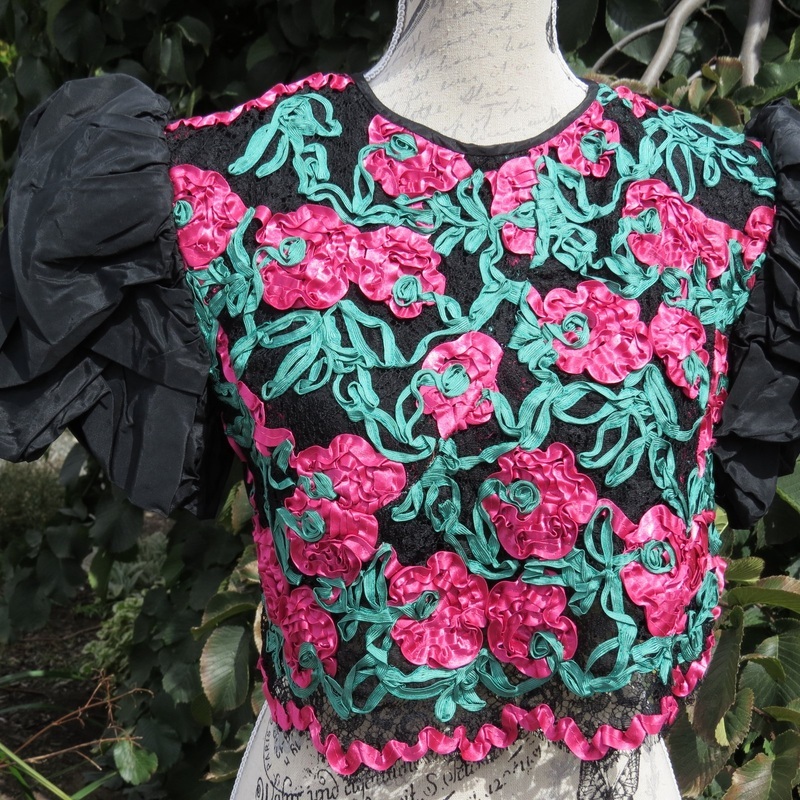 Scalloped front hem. $50. 603 M B 95 W 72 H 94 Length 97cm. Jackie Kennedy style. 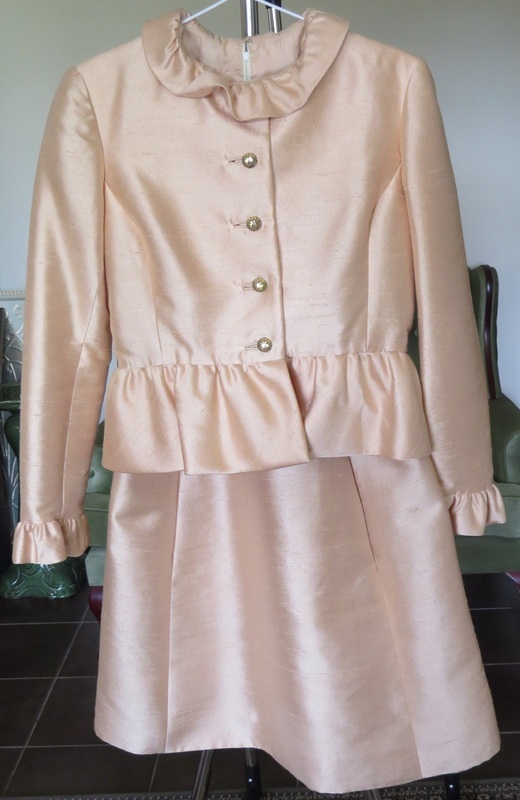 Designer Saks 5th Avenue, Champagne shantung silk dress, belt and jacket. $140. 604 M B 94, W 85, Hip 92, length 97. Meant to be worn loose. Jackie Kennedy style. Probably silk blend. Chevrons down front accentuated by buttons. $70.